The two parties in Greece’s ruling coalition, SYRIZA and ANEL, on Friday tabled a joint proposal for a special Parliamentary committee to conduct a preliminary investigation into former minister Yiannos Papantoniou, focusing on armament programmes carried out while he was head of Greece’s defence ministry in the early 2000s. 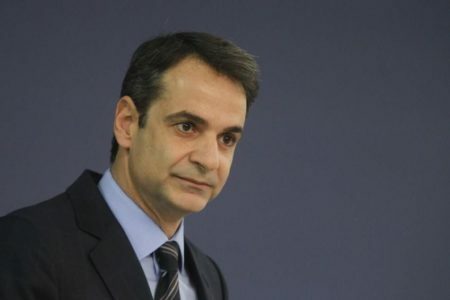 “There are signs that the offence of legalising income from criminal activity has been committed in several ways, which must be investigated,” the joint SYRIZA-ANEL proposal stated, with Prime Minister Alexis Tsipras heading the list of signatures. Unlike most offences, that of legalising income from criminal activity – or more commonly money-laundering – is considered ongoing and does not become statute-barred. As the MPs signing the proposal pointed out, the various ways the offence can be expressed, such as ownership of property or investment of assets in the financial system, are considered ongoing and continuous crimes and thus their prosecution not subject to the same Constitutional constraints as the offences that generated the illegal income originally. The proposal also notes that Papantoniou’s name was included in a list of Greeks with large deposits in banks abroad – specifically 1.3 million euros held in an HSBC account by his wife – and also has a final conviction for an inaccurate wealth statement in 2009, as well as other similar cases pending. 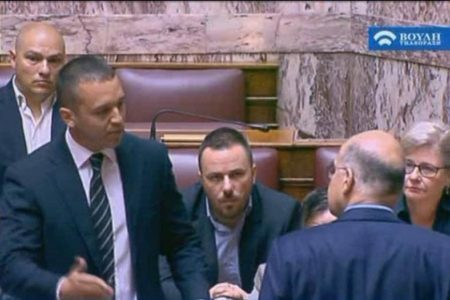 Main opposition New Democracy and the opposition Potami, Communist Party of Greece (KKE), Democratic Alliance and Union of Centrists parties have all indicated that they will vote in favour of the proposal. The ruling coalition’s proposal was prompted after six criminal cases involving Papantoniou were referred by the justice system to Parliament, as public prosecutors are required to do in the case of investigations involving former ministers. The six cases relate to acts of breach of trust that resulted in major financial losses for the Greek State and are connected to the armament programmes for the purchase of 170 Leopard tanks, 12 Apache attack helicopters, six S-type frigates, electronic warfare systems and 20 NH90 transport helicopters. In cases involving offences carried out by ministers or former ministers while in office, the Constitution stipulates that Parliament is empowered to conduct an inquiry and vote to refer former ministers to justice for offences until the end of the second regular Parliamentary session after the alleged offence or offences were committed. Since all the offences of which Papantoniou is accused were carried out between 2001 and 2004, they have thus been statute-barred since September 28, 2006. The offence of legalising income from criminal activity is considered continuous however, so the same restriction does not apply. In their proposal, the SYRIZA-ANEL MPs note that in one of the six cases against the former minister referred to Parliament, he is also under investigation for legalising income from illegal activity. “In all the cases, instances have become known from which could be inferred indications of the generation of wealth from acts of breach of trust and the subsequent legalisation of income from criminal activity,” they add.